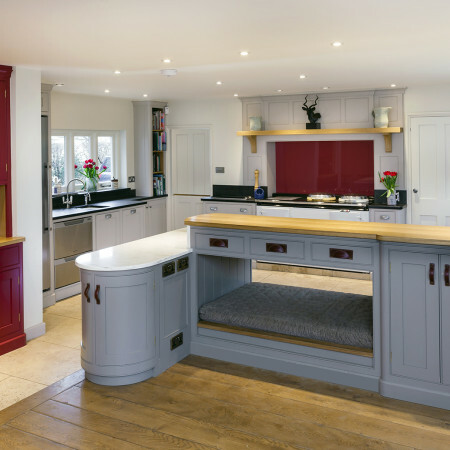 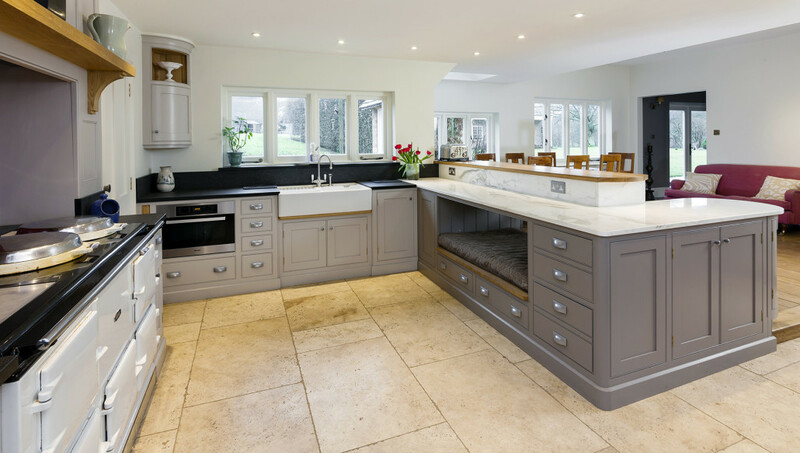 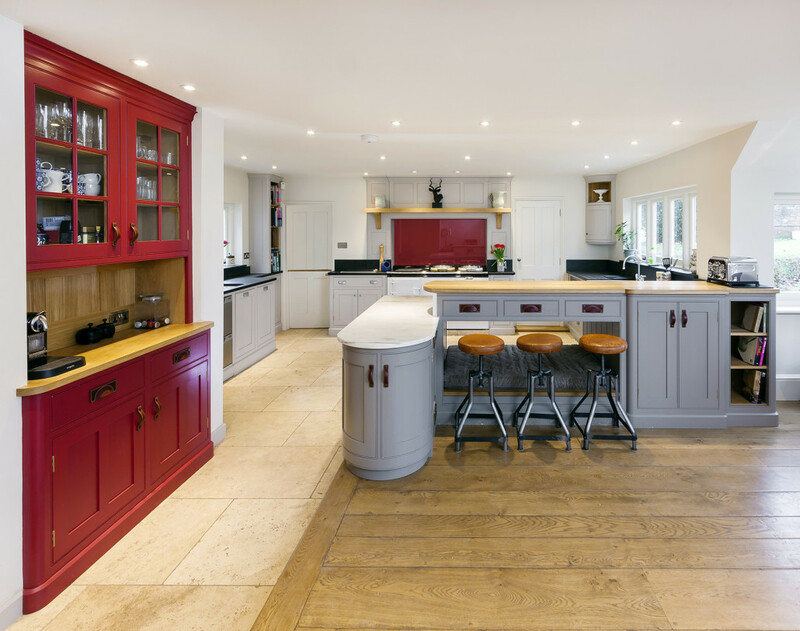 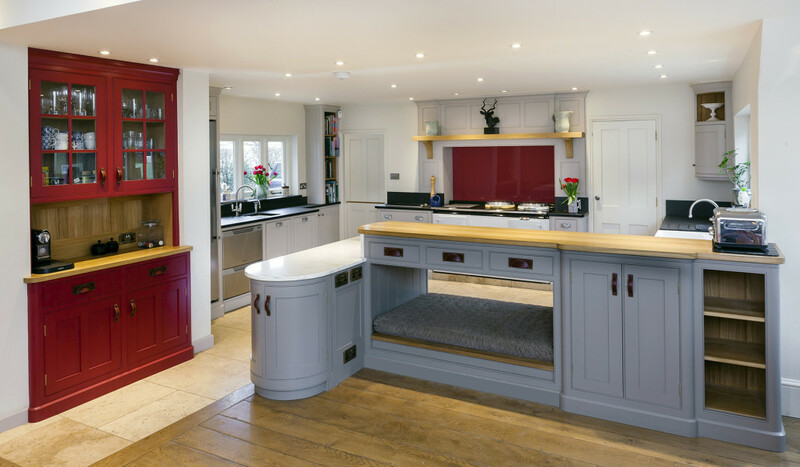 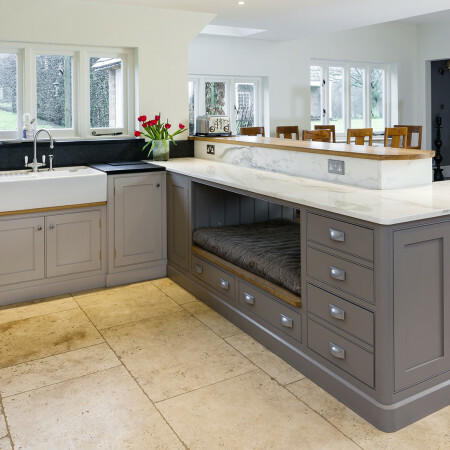 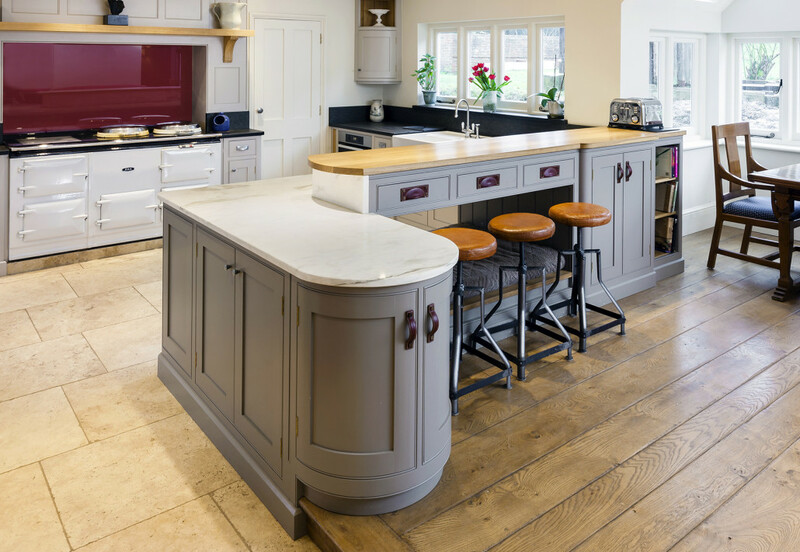 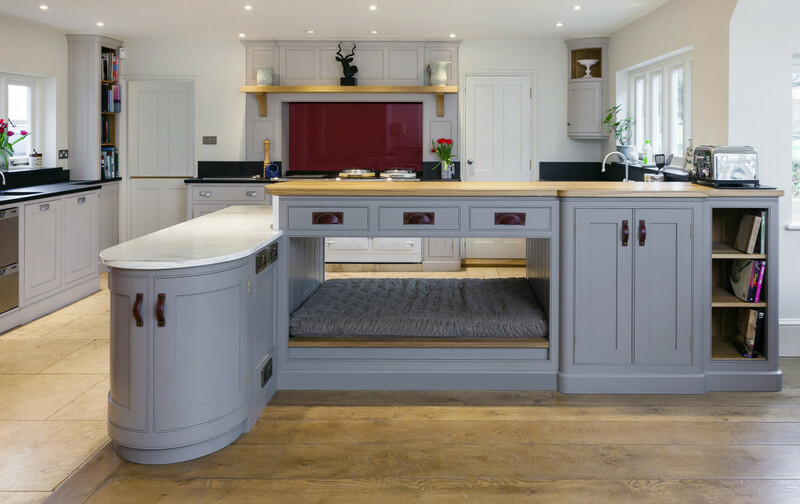 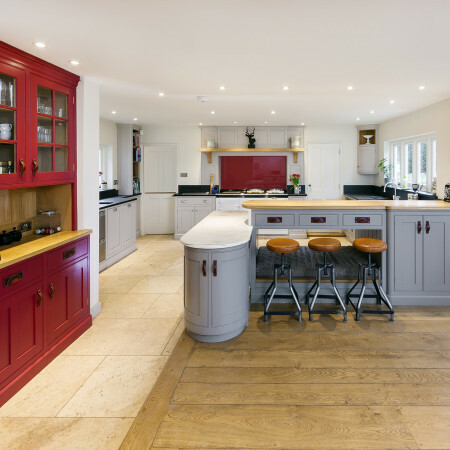 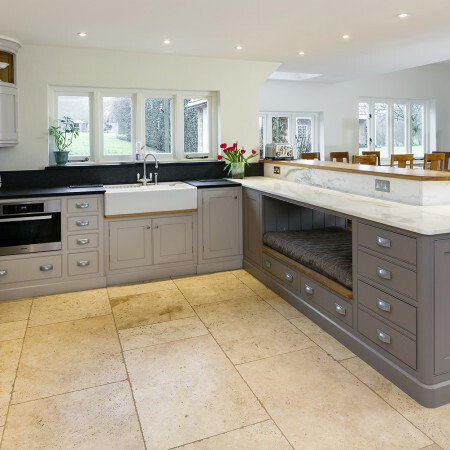 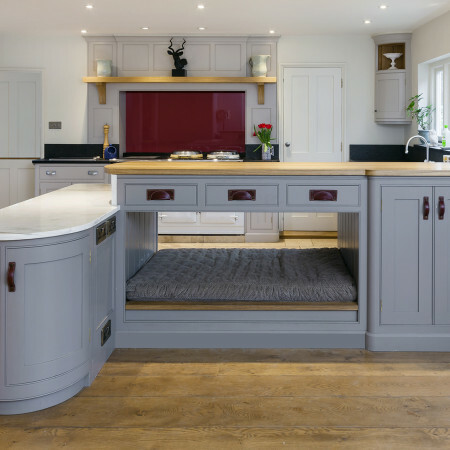 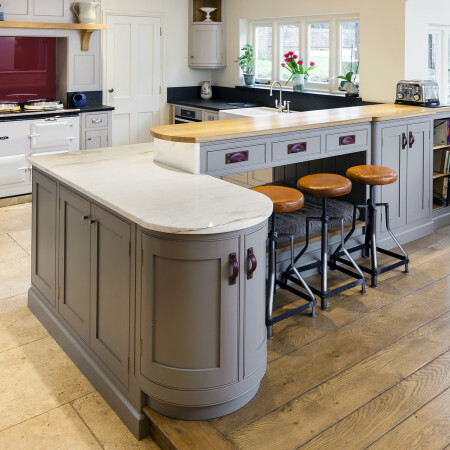 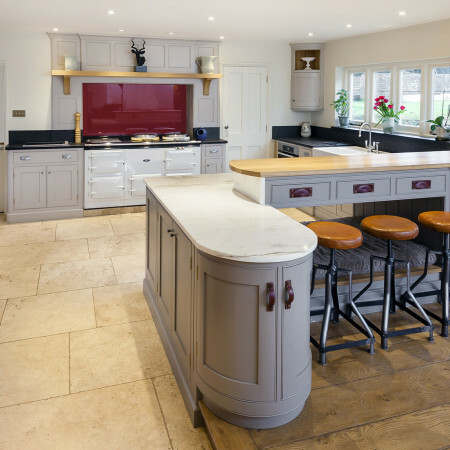 An intriguing kitchen designed around the need for a central dog bed which separates the kitchen and dining areas. 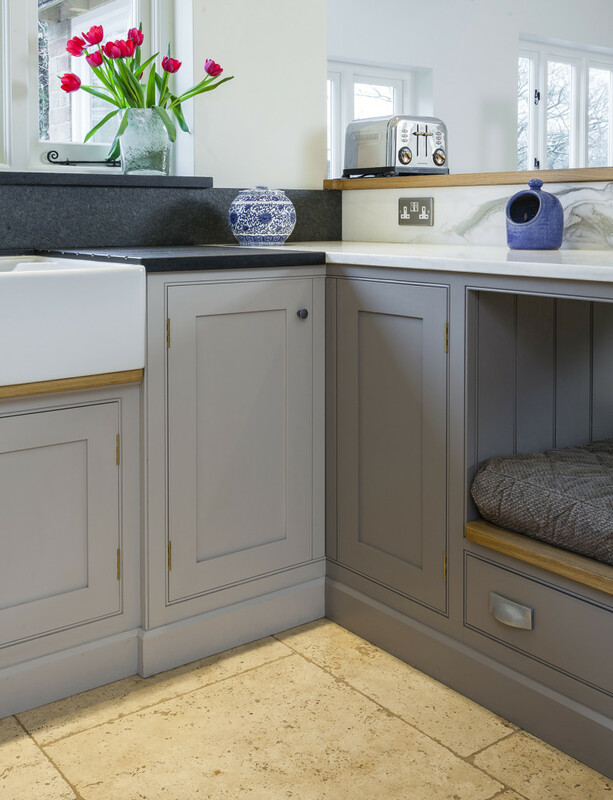 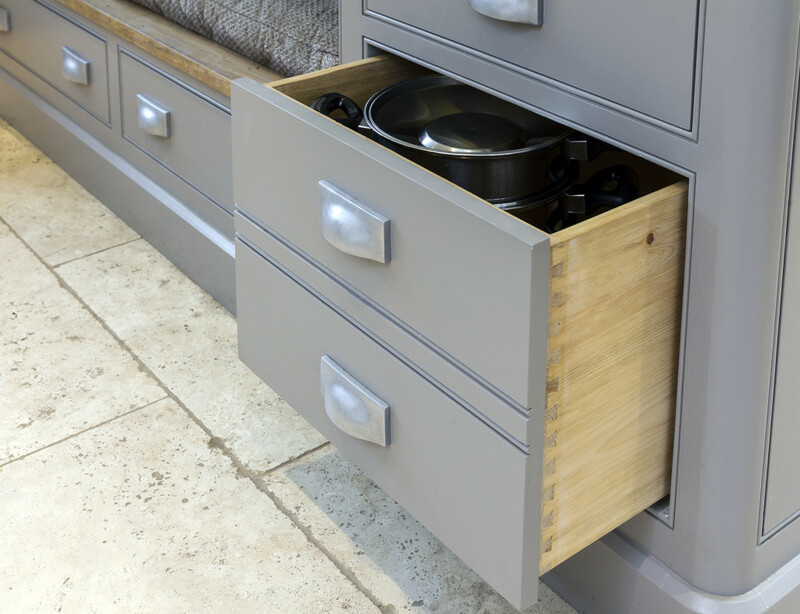 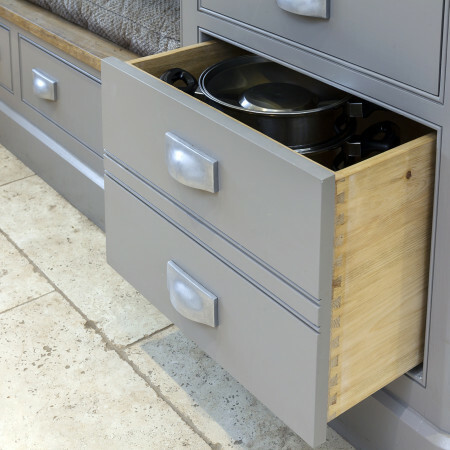 A colourful flair combines Farrow & Ball Elephants Breath with Charleston Grey and a dramatic touch of Radicchio for the inbuilt dresser and large glass AGA splash back. 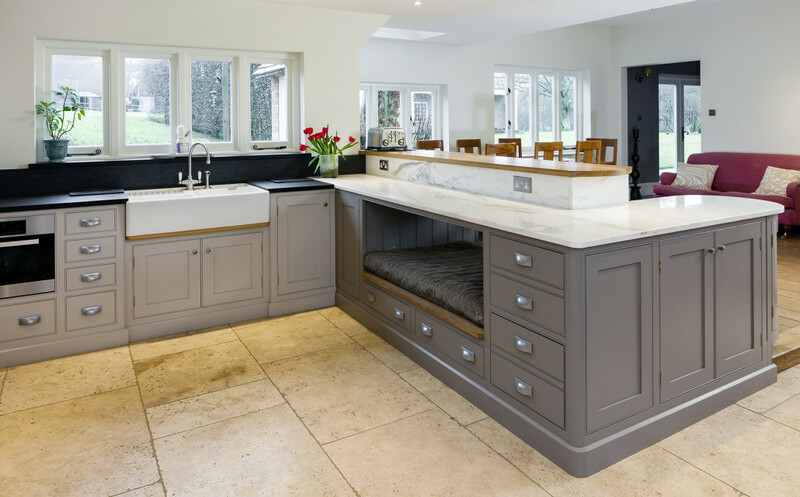 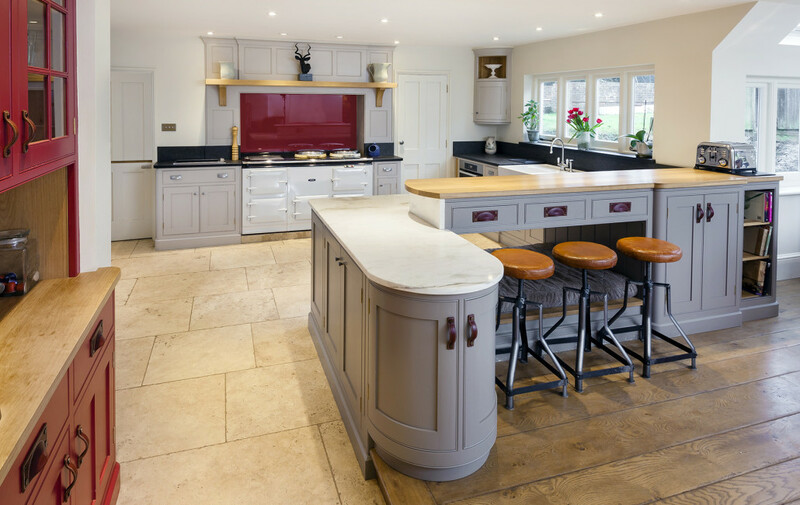 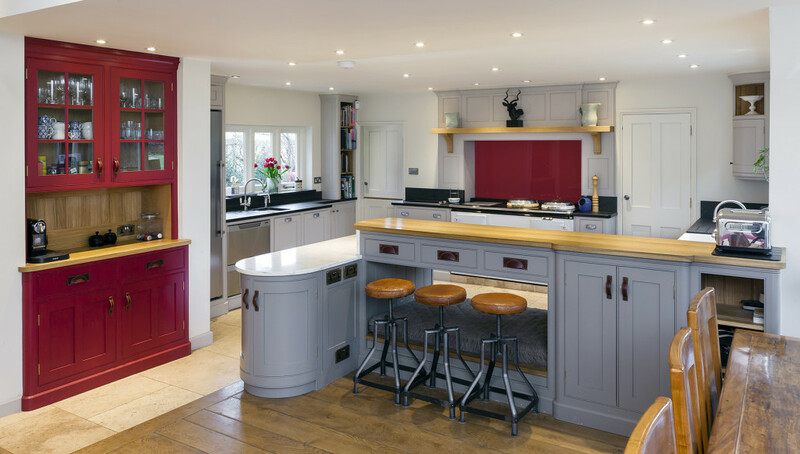 The eclectic feel is enhanced by the use of a breakfast bar in Oak, a peninsula in Arabascato marble and the main kitchen worktop and window cills in flamed Satino Bassalt. 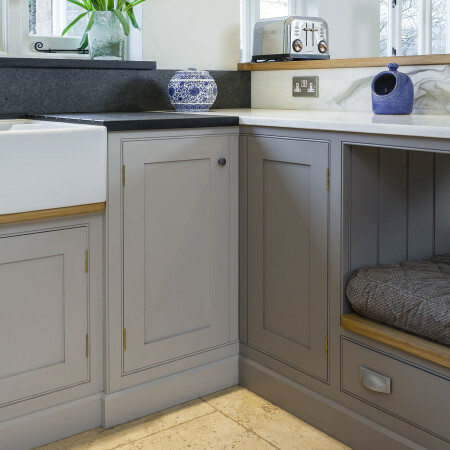 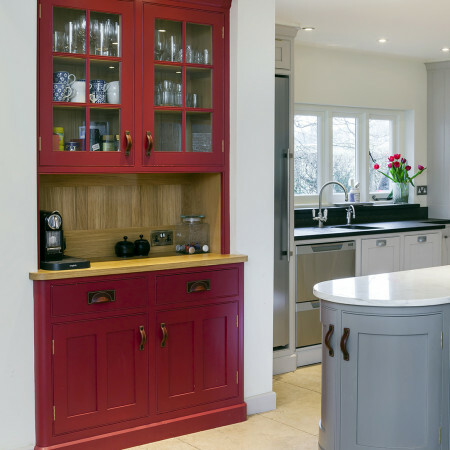 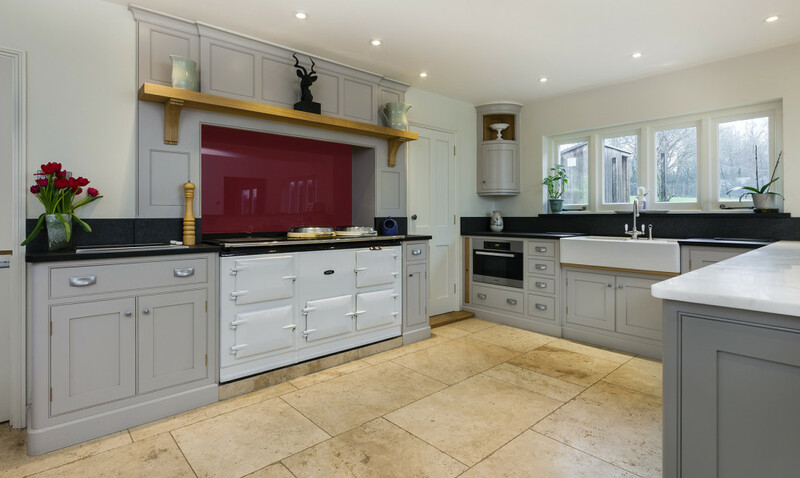 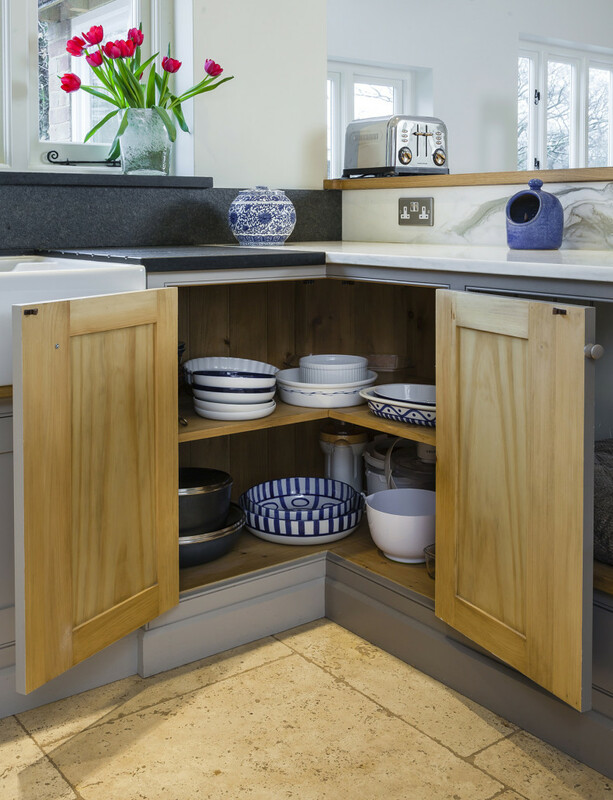 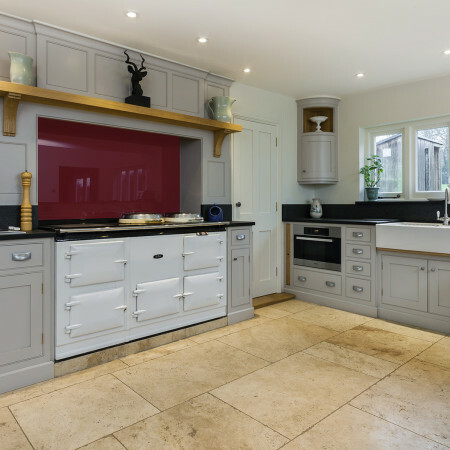 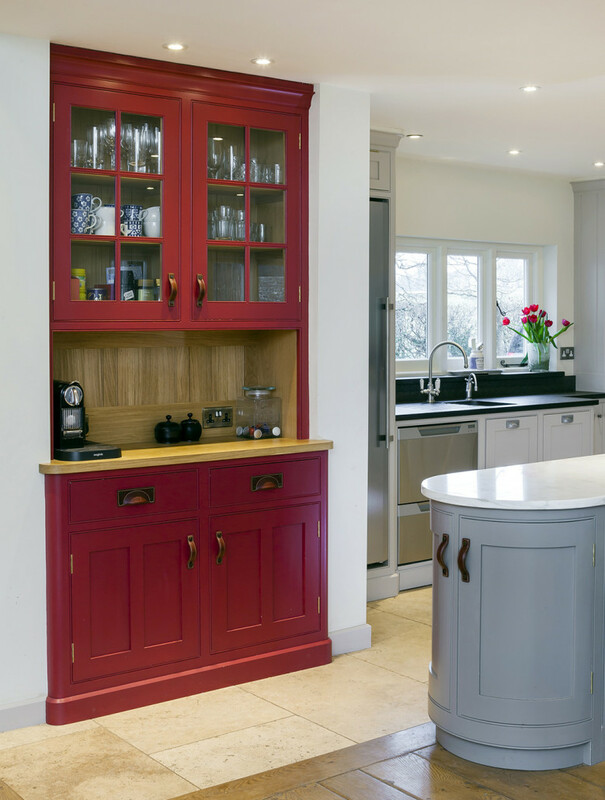 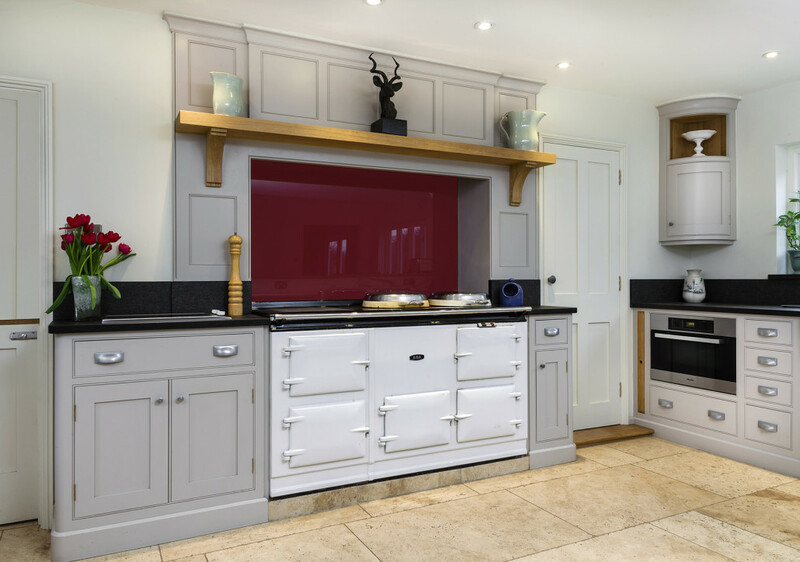 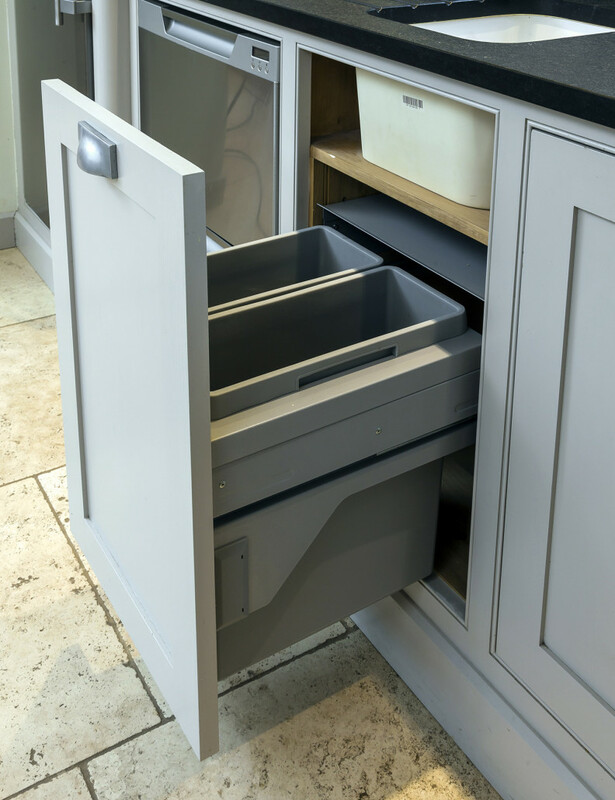 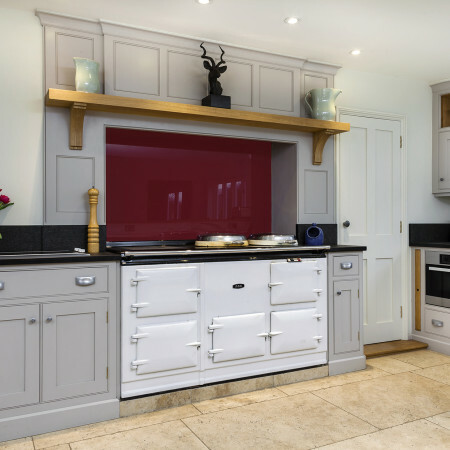 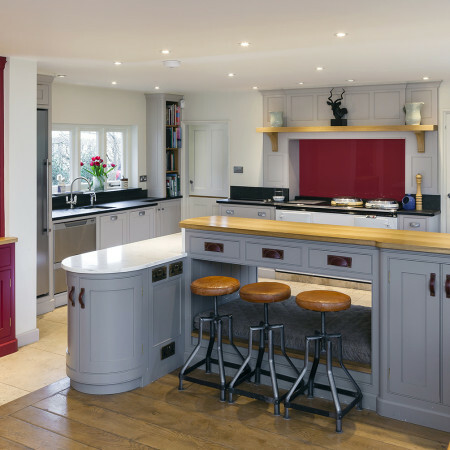 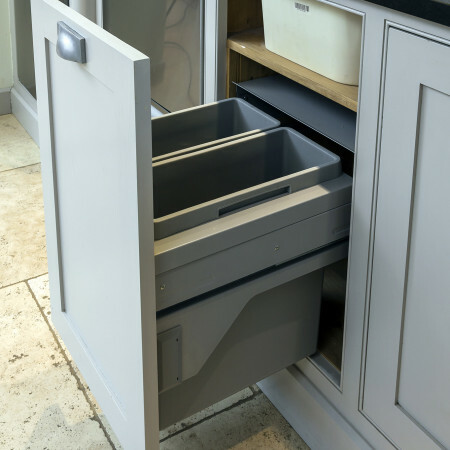 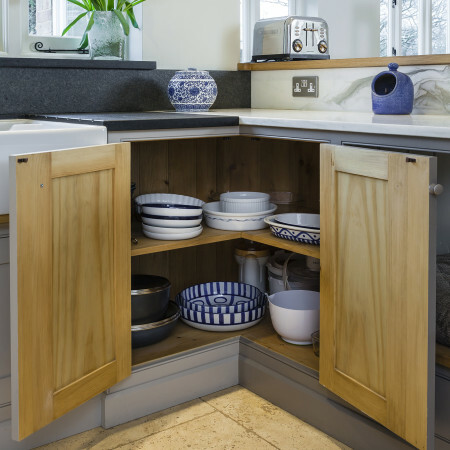 A Quooker tap provides instant boiling water for convenience with hand crafted sinks by Villeroy and Boch and main kitchen taps by Perrin and Rowe.